“This little book of poems could be described as a journal of a life. It describes a life of an ordinary person documenting her journey by means of short reflections. Meg’s life has been a series of movements from Wales to Kenya, to study and marriage in London, then on to Nigeria. Finally the family settled in Whanganui where they have created a garden from barren soil. The poems are arranged in five sections. The first is named “Light of the World” and all poems have a religious theme moving from Creation through Biblical figures towards the Resurrection. In these we see something of the author’s own understanding of the Christian message, and her involvement in parish education of children. The second section is about her family. Meg calls these tributes. They are loving blessings on her four children and hint at both the sorrow and joy a family brings. In the next two sections Meg returns to Creation. The first, called “Peace” is influenced by her time in Africa. It also speaks of the peace that so many find in a garden. The section named, “Nature”, contains a wide variety of poems which reflect the fruit of hours of gardening and contemplation. Some titles in this group are, “The Plum Tree”, “New Life”, “Bees”, “Seed Wonder” and “Pohutukawa”. Each shows Meg’s appreciation Meg for the beauty around her and her acknowledgement of her Creator God. The final section of the book is simply labeled, “Haiku”. The author has used the haiku as a verse pattern for longer poems. I think the haiku is better suited to fragments, those tiny glimpses that bring us to a moment of wonder. 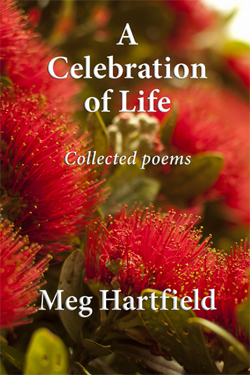 Meg Hartfield’s poems flow from her deep faith and a longing for a peaceful world. The poems in the first half of the book – Light of the World – are a retelling of the story of Jesus’ life. Starting with the Word and the nativity, then onwards to the Cross, Resurrection and Pentecost, the poems draw us into the mystery of God among us. Taken together they form a new gospel, a new sharing of the good news, for readers today. Meg takes us inside the heads and hearts of the Bible characters and we find that they were just like us: brave and afraid, striving to live well but often missing the point, capable of loving and of hating, of violence and of gentleness. She brings alive these dramatic stories that point us to the shining light of God’s love for us, made human in Jesus. Thirteen poems focus on Peace. “Ploughshares – implements for cutting furrows; Swords – implements for cutting people…” begins one poem. They explore the big picture of war and international conflict, and the small, everyday things we can do to create a peaceful community and world. 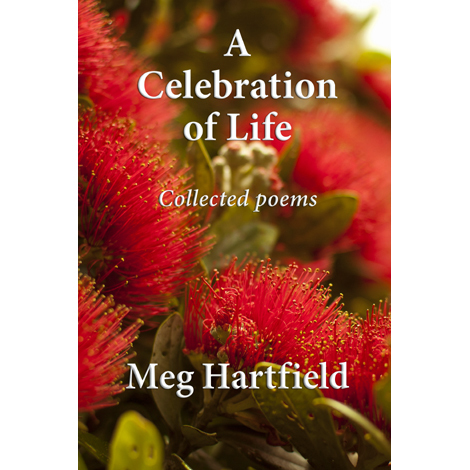 This collection also includes a section of Tributes to family members and other people, poems about nature and it is rounded out by a set of happy haiku. Use these poems in reflective worship services, for group devotions and for personal inspiration. 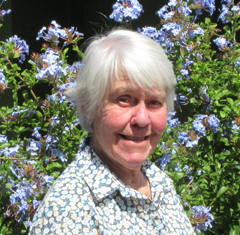 Meg’s poems flow from her deep faith and a longing for a peaceful world. Poems in the first half of the book, Light of the World, are a retelling of the story of Jesus’ life. 13 poems focus on Peace. 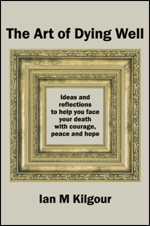 Also includes a section of Tributes to family members and other people, poems about nature and a set of happy haiku. Use these poems in worship services, for devotions and for personal inspiration. Born in Cardiff to missionary parents, Meg spent her early years in Kenya. She qualified as a nurse and midwife in London where she met her future husband Jonathan, a medical student. They spent 10 years in a turbulent Nigeria before settling with their 4 children, in Whanganui in 1973. After buying 4 hectares of bare sand hill, they have created a beautiful garden which they share with their donkeys. Meg has been a Sunday School teacher and lay preacher in the Church. She makes banners. Both have worked in Hospice for the last 20 years, and are active in music and peace making. They rejoice in their 9 grandchildren.